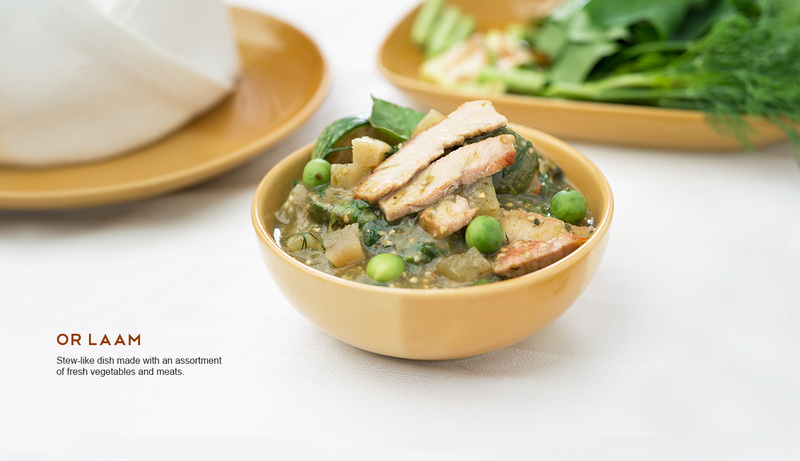 With a kitchen that is staffed by some of the most talented Lao chefs, we serve truly authentic Lao dishes using only the finest of local ingredients. 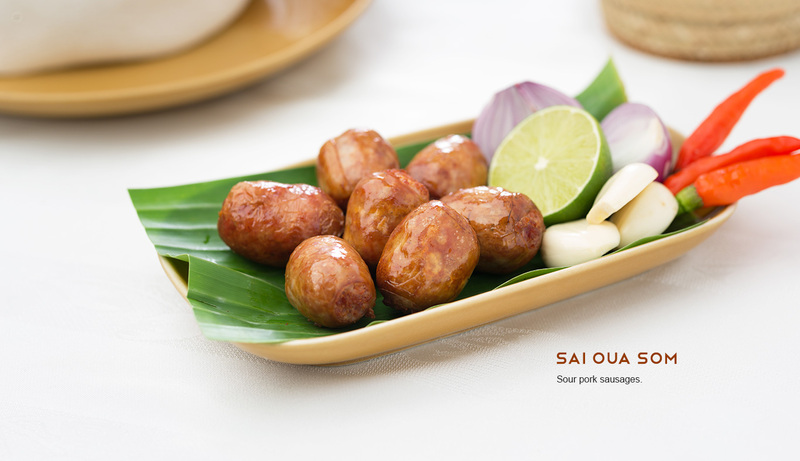 Whether it is the renowned wild fowl from Xieng Khuang province, the freshly caught Mekong fish imported direct from the Paksé riverside or rare, exotic, items such as pine mushrooms (Matsutake) or ant larvae, we source only the highest quality produce, and select the best of what is in season, to create an array of exquisite Lao dishes. 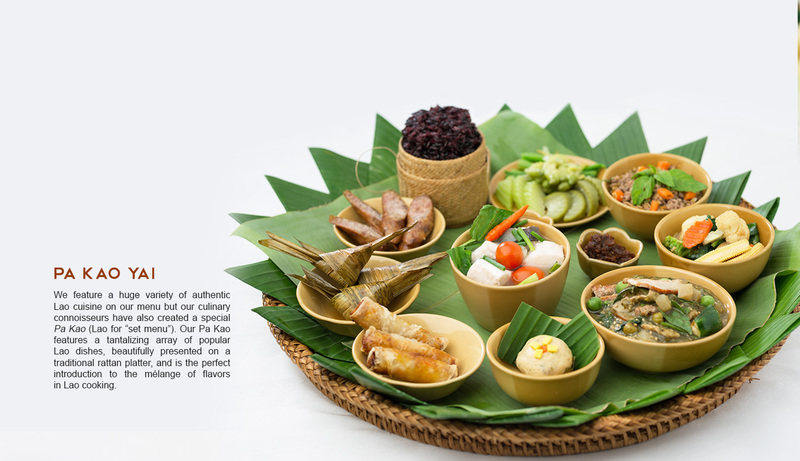 We feature a huge variety of authentic Lao cuisine on our menu but our culinary connoisseurs have also created a special Pa Kao (Lao for “set menu”). 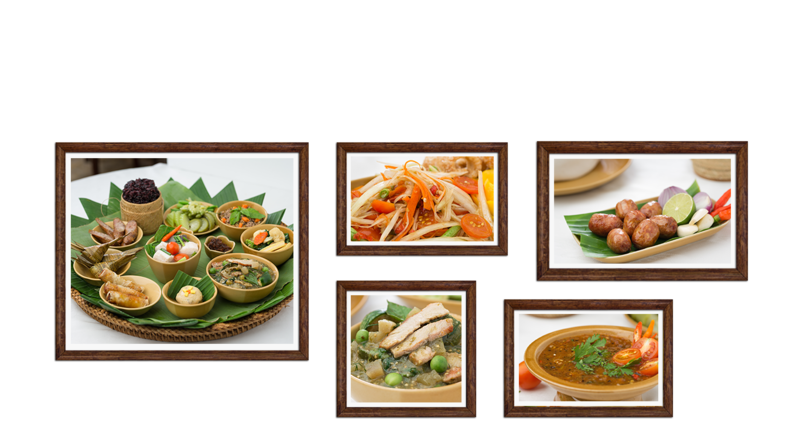 Our Pa Kao features a tantalizing array of popular Lao dishes, beautifully presented on a traditional rattan platter, and is the perfect introduction to the mélange of flavors in Lao cooking. Grilled tomato dipping sauce and steamed vegetables. 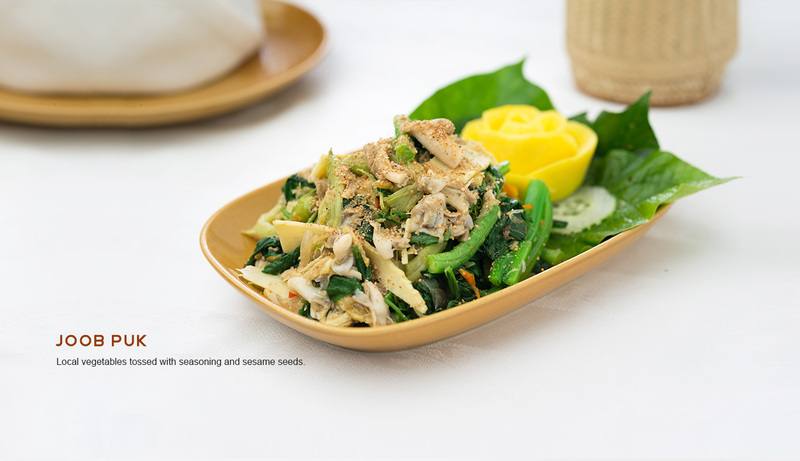 Local vegetables tossed with seasoning and sesame seeds. 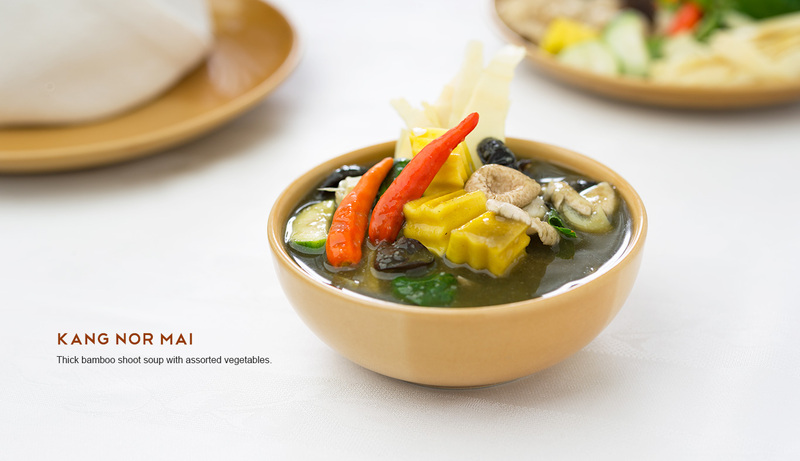 Thick bamboo shoot soup with assorted vegetables. 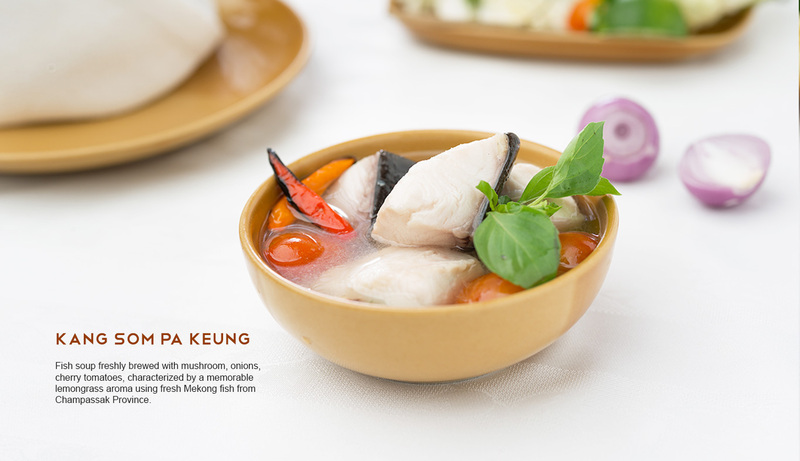 Fish soup freshly brewed with mushroom, onions, cherry tomatoes, characterized by a memorable lemongrass aroma using fresh Mekong fish from Champassak Province. 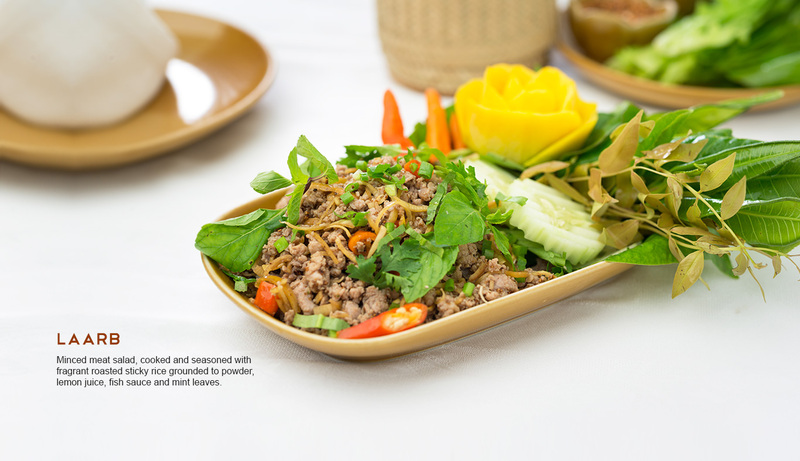 Minced meat salad, cooked and seasoned with fragrant roasted sticky rice grounded to powder, lemon juice, fish sauce and mint leaves. 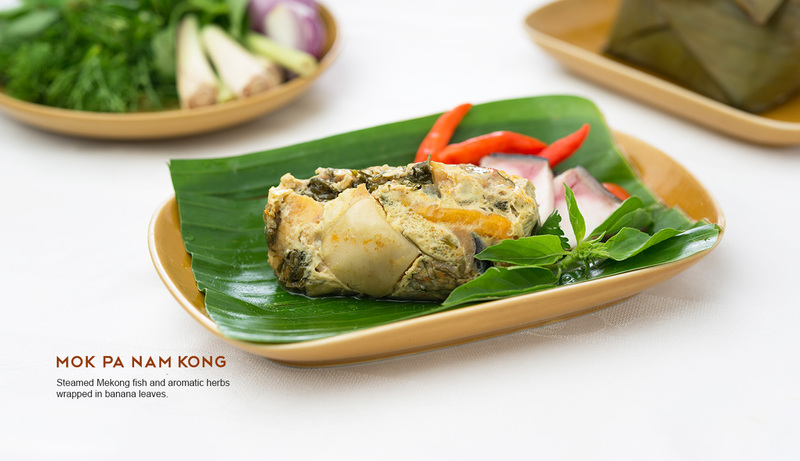 Steamed Mekong fish and aromatic herbs wrapped in banana leaves. 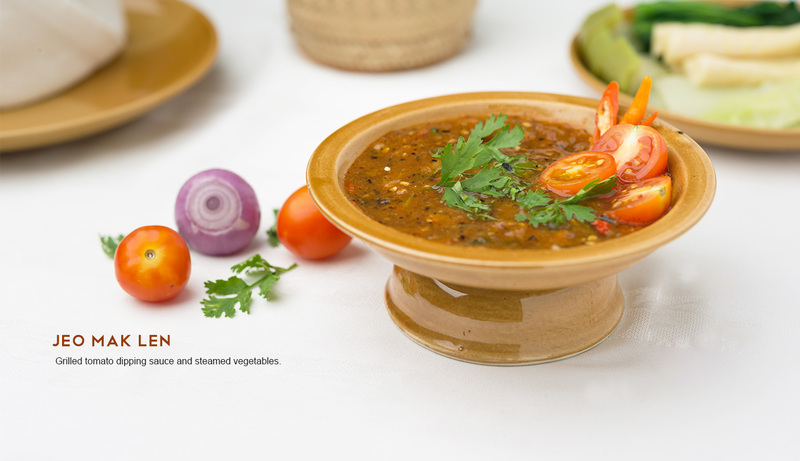 Stew-like dish made with an assortment of fresh vegetables and meats. 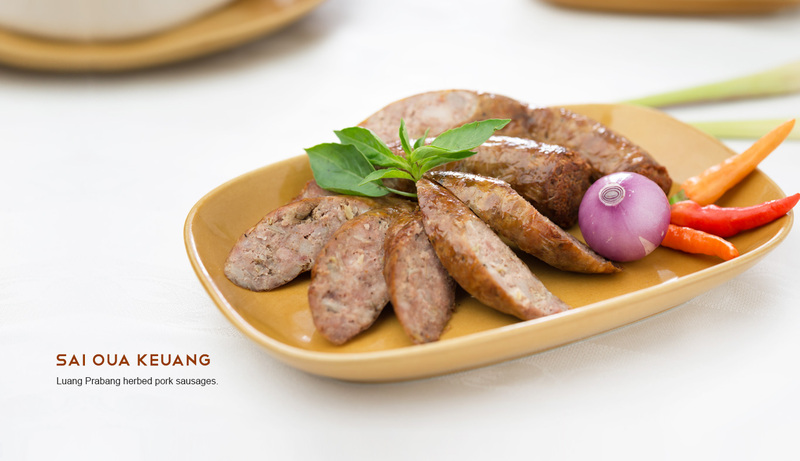 Luang Prabang herbed pork sausages. 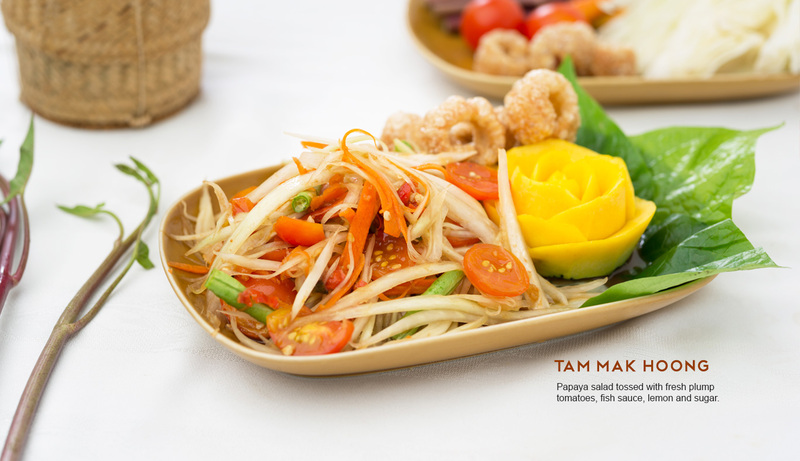 Papaya salad tossed with fresh plump tomatoes, fish sauce, lemon and sugar. 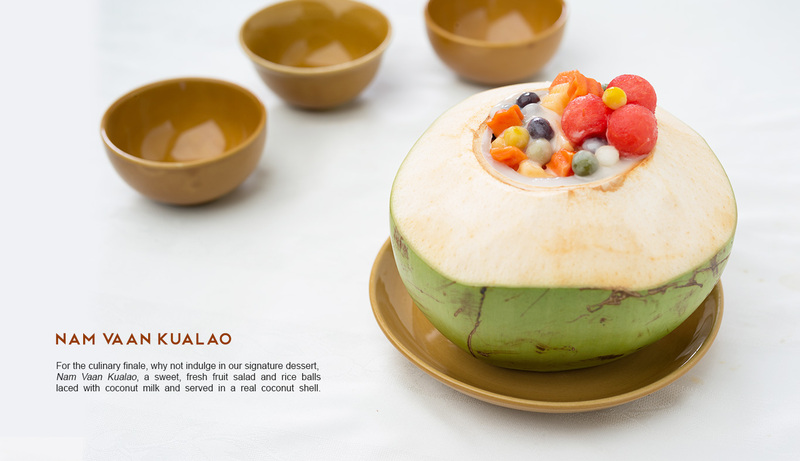 For the culinary finale, why not indulge in our signature dessert, Nam Vaan Kualao, a sweet, fresh fruit salad and rice balls laced with coconut milk and served in a real coconut shell. © 2015 Kualao Restaurant. All Rights Reserved.